The I Love You Bouquet says it all: I Love You, Happy Valentine's Day, You’re My Favorite Person Ever and more! 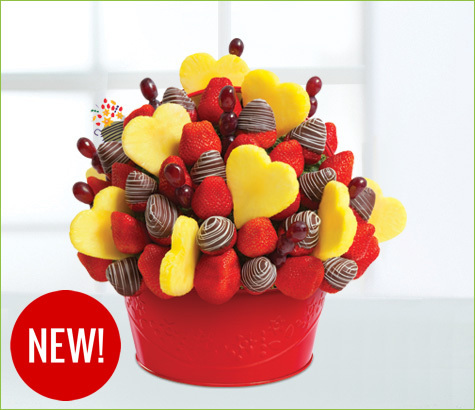 This fruit arrangement is bursting a whole lot of love, and features gourmet semisweet chocolate dipped strawberries with artful white swizzle, heart-shaped pineapple, and juicy grapes. It’s truly the perfect gift for that special someone.